This was my first time flying out to ICOM 2016 in Lexington, Kentucky with Good Neighbor Insurance, and it was a lot different than I had expected. I’ve been to a few conferences before, both as an exhibitor and an attender. 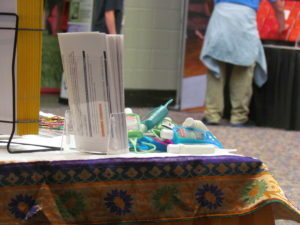 I didn’t expect this one to be any different – I would greet people, probably listen in on a few sessions, give out bracelets and free medical kits (which, should you be interested, can be requested here: https://www.gninsurance.com/waterproof-travel-medical-kit-gni/), and mainly be there to professionally represent Good Neighbor. I didn’t expect to return home feeling so alive and full of joy! Though I work part-time for an insurance company, I know little except the importance of travel insurance and international health insurance. 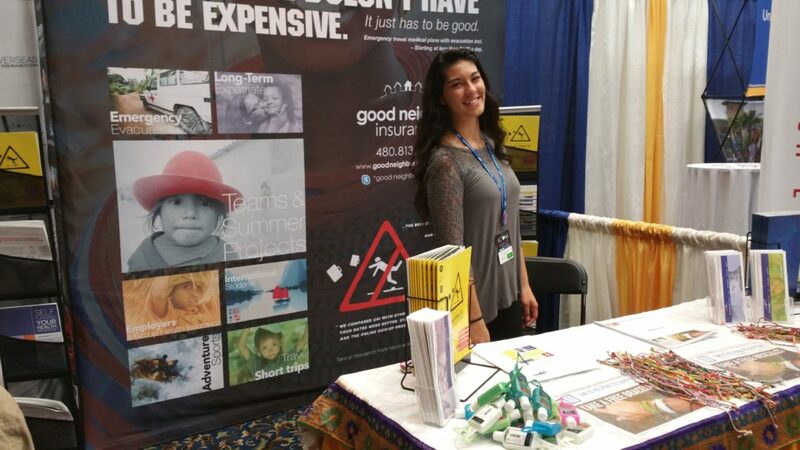 My job at the Good Neighbor Insurance booth was to greet people, answer questions (that I knew the answers to), and introduce them to one of the agents, so they could explain further. I made many new friends in my job as a greeter, as we talked and laughed about our lives and the conference together. I got to meet a lot of people from different backgrounds, as well as lots of college students and some great college recruiters who all gave me good advice for my upcoming college years! 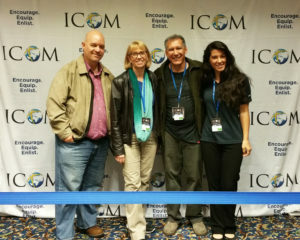 Each year ICOM is at a new location around the country. This year, ICOM was held in Lexington, Kentucky, at the Rupp Arena and Lexington Center. The first few days were 70 degrees and amazing! Being from Phoenix, the last two days of 35 degree weather (or less!) kept me living in a heavy coat and gloves the rest of the time. 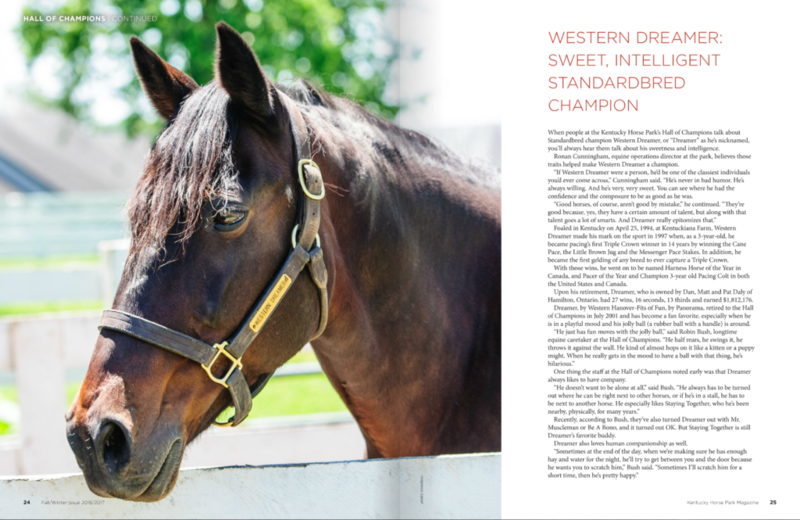 Lexington is a beautiful city, with long stretches of blue grass, horse-filled countryside and a breathtaking city atmosphere all wrapped up together. 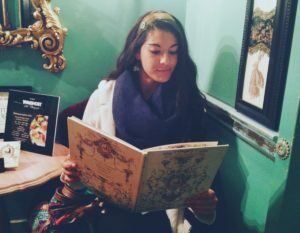 I found many delicious and fun restaurants while I was there, my favorite being a Victorian, multi-cultural place called Shakespeare and Co.! The staff and helpers at the Lexington Visitors Center(s) were also wonderful, hospitable, and a real credit to their fine city. If you get a chance, make sure to VisitLEX.com! For this trip, we stayed at The Campbell House Hotel which was less than 2 miles from the Rupp Arena and the heart of downtown. It is a beautiful hotel and our room was beautiful. The front looks like an antebellum southern plantation. The staff were helpful and there is even a free hotel shuttle to the airport (or downtown, if they are not called upon to make an airport run). We also “ubered” downtown a couple of times for less than $5.00. We found there were always drivers available, even early in the morning, when we were there in mid-November. My other goal was to walk around to all the different booths, and talk to the people there about their organizations. This was probably my favorite part of the conference. Being able to meet so many amazing brothers and sisters in Christ who are living out the love of God was mind blowing. As I’ve never been on a mission trip, or outside of the country, yet the mission-sending organizations were excited to share their opportunities with me! The question I got asked the most (besides “Are these bracelets, travel hand sanitizers, and med-kits free?”) was if I was a “sender” or a “goer.” Talking to both senders and fellow goers was so inspiring! Just being able to listen to the awesome things that God is working through them to do all over the world, in so many unique ways, definitely deepened my urge to join them in their work. It also extended my prayer list by quite a few pages. With these new friends I was able to discuss the Bible, marvel at the wonder and goodness of the Lord, share exciting things that the Creator of the universe has placed individually on our hearts, and in some cases, pray together. 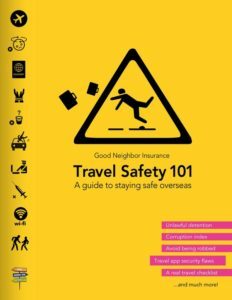 A very popular item at our booth was our latest Travel Safety Guide 101, which was given out to more than 200 people for the first time at ICOM (It was just published in October). It is 40 pages and is also available online in case you weren’t at the event. It covers identity theft overseas, how to keep from being a victim, unlawful detention and kidnap and even has a great travel checklist on when to get inoculations and how/what to pack. We also gave out free handcrafted bracelets we bought to benefit the Jette’s (A deaf professor and his wife who are seeking to adopt a deaf child overseas), as well as Threads of Hope, an organization that organizes fundraisers for non-profit groups while rescuing kids off the streets in the Philippines. Due to working to booth during the conference, I only made it to the first main session, but I assume all the others were just as powerful as the one I attended. ICOM 2016’s theme was MOBILIZE: Disciples Making Disciples, focusing on those who are in the mission field to start discipling others so that they in turn can disciple others, mobilizing those He has called to carry out the work he has for them. I walked away from ICOM with much more than a couple t-shirts and a suitcase filled with complimentary pens. I left feeling refreshed and awake to hear the voice of God and follow his lead to where I am needed, as well as with a lot of new people on my heart and in my prayers. Next year, ICOM will be held in Peoria, Illinois. The theme is called TOGETHER: God’s Plan To Redeem The World. (Find out more here: https://theicom.org/icom-2017-peoria/) I have no doubt it will be just as or more amazing than this year’s. 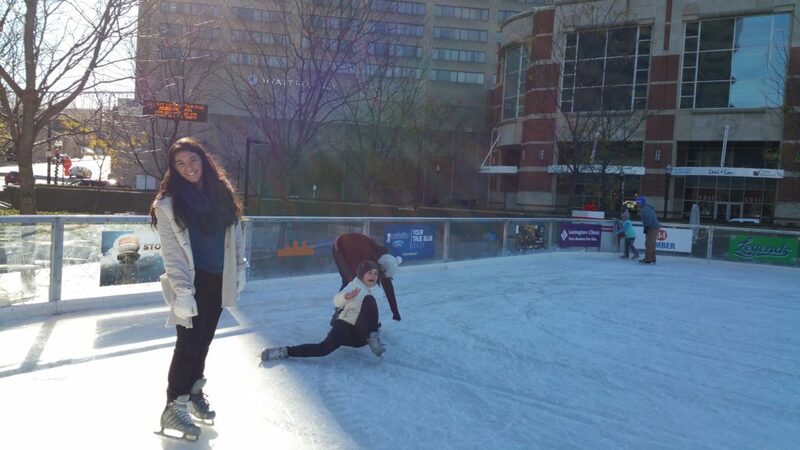 Though I assume it won’t be any less chilly in Illinois, the warmth of ICOM is not something to miss! Like we told everyone at the conference, don’t forget good travel insurance if headed overseas this holiday season or taking a team overseas this next year! It’s only about one to two dollars a day for about $500,000 in emergency medical coverage and includes emergency evacuation as well for that crazy price! As we say, Travel smart, travel safe! And don’t forget to visit Lexington in the Fall if you get a chance. Or any time for that matter! It was a wonderful place to visit! 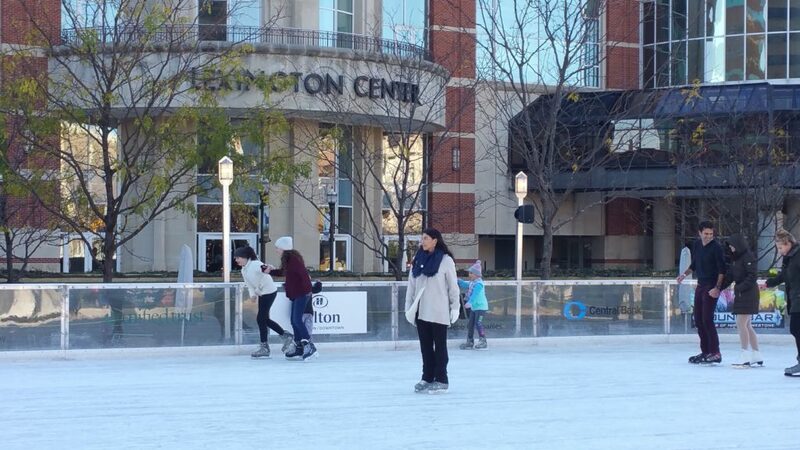 I even got to ice skate for a hour or so (in the 28 degree weather) in Triangle Park in front of the Rupp Arena and Lexington Center before rushing to the airport to fly home (via Chicago)!